Preheat oven to 350°. Place apples into a 9×12 baking dish. Combine walnuts, raisins, honey, cinnamon, sea salt and tahini. 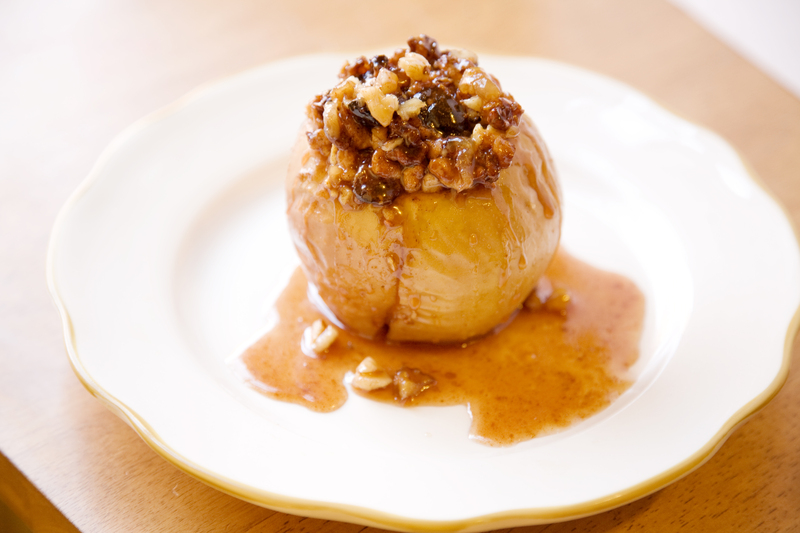 Stuff the nut, raisin and tahini mixture into the apples. Bake apples uncovered 40-45 minutes.